HAPPY NEW YEAR! I’m welcoming 2018 with open arms and taking it in from the window of my airplane today as I head home from the best weekend trip in Atlanta! As I head home today, I’m reflecting on the past year and how much has changed in ways that I never could have expected. I have high hopes for the coming year, and I can’t wait to get started chasing the goals I’ve set for myself. As I reflect on this year, one of the big things that comes to my mind is the reading I was able to do. 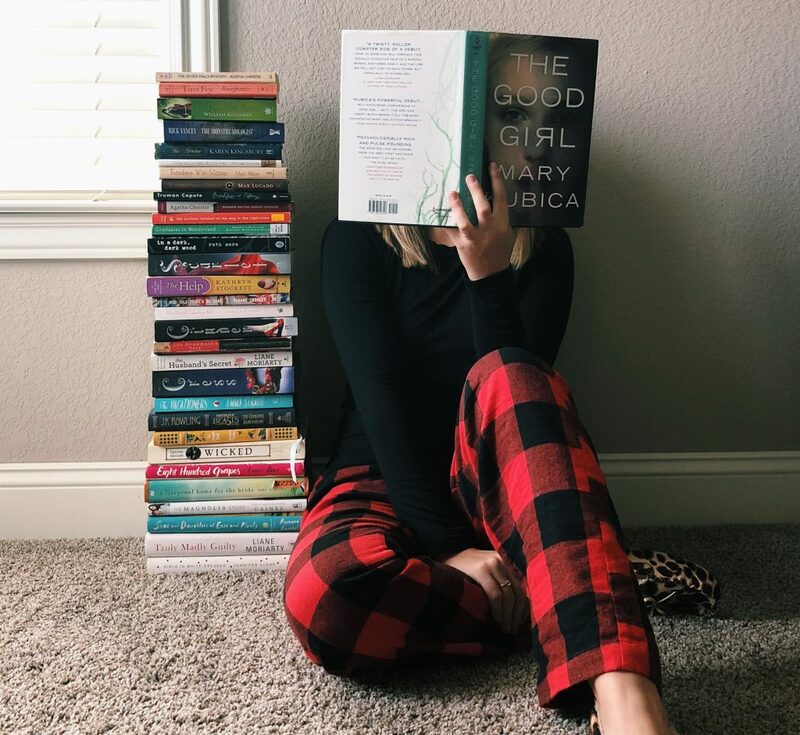 I’ve loved reading as long as I can remember, and in the past few years, I’ve really made it a priority to dig into this passion and become more intentional about it. I’ve tried to expand the genres that I read, get into old classics, re-read my cherished favorites, and invest in books that will make me better. A few years ago, I started documenting my season’s reads on my Instagram account, sharing my fall or summer reads in a stack in my room, and last year I shared my entire year’s reading. It was accepted so much better than I ever would have imagined, with people commenting or telling me in person that they look forward to seeing that on my feed, people texting me to talk about individual books that I’d read, or friends asking for recommendations on what they should read next. It is truly such a joy to me to be able to share my passion with other people, even if it’s just to shoot them a few new recommendations via text message. It’s my favorite. I made it a goal in 2016 to read 22 books for my 22 years and I ended up reading 30. For 2017, my goal was 23, and I read 32! Some of them truly touched my heart, some of them took weeks to get through, but each and every one reminds me of moments throughout my year that I can tie to what I was reading during that time. If you don’t think you’re a “reading person”, or you love to read but haven’t had time to pick up a book in years, I encourage you to start again! There’s so much knowledge and entertainment that can come from these pages if you take the time to open them up! Below I’m sharing the books I read this year (in no particular order), so let me know if you’ve read or are planning to read any of these! What were your favorite things that you read in 2017? Did we read any of the same books? And what are you planning to read in 2018? I can’t wait to hear and share more of my reading journey with y’all! And if reading just really isn’t your thing, then hang in there, because I have so much more fun content that has nothing to do with books coming your way very soon! Happy New Year!